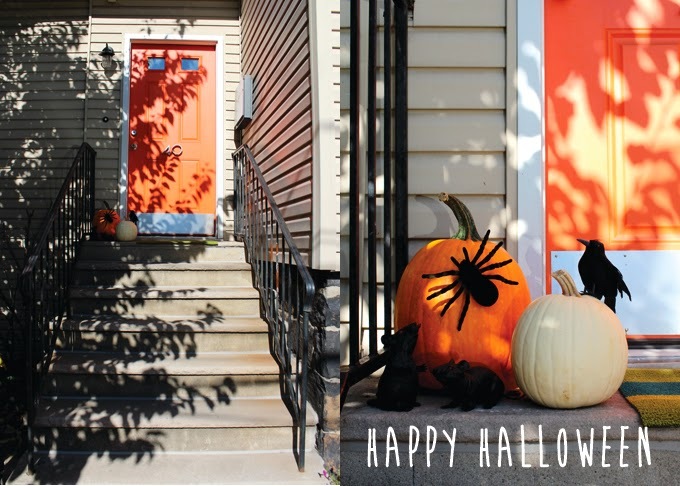 Your orange door is perfect for Halloween - Happiest of Halloweens to you! what a great idea! i am going to remember this for next year. i actually don't love carving pumpkins so i really, really like this. i completely failed at decorating this year, yesterday i got one thing out from storage but i think i ended up leaving it in there after all. oops. happy halloween!